[info]The Microsoft Store app in Windows 10 offers various apps, games, music, movies & TV, and books that users can browse through, purchase, or get for free to download and install for their Microsoft account in Windows 10 PCs and devices. The Store app in Windows 10 has a My Library feature that shows you all of the apps, games, music, and movies & TV that you installed on all devices while signed in with your Microsoft account. My Library in the Store makes it easy to quickly download and install an app or game owned by a Microsoft account to any account (local or Microsoft) on any Windows 10 PC or device. Starting with Windows 10 Insider Preview Build 14342, there's an update available for the Store app that now allows you to hide and unhide your apps listed in "My Library". This tutorial will show you how to hide and unhide your apps from showing in the My Library list by default in the Store app for your account in Windows 10. If you have the Windows 10 Pro, Enterprise, or Education edition installed, you will no longer need to be signed in to the Store with a Microsoft account to install an app from the Store. The Windows 10 Home edition still requires signing in to the Store with a Microsoft account before any apps or games can be downloaded. Only free apps or games can be installed without a Microsoft account. This is likely done to avoid situations where pay for apps or games would not be available to reinstall (if needed) without having to pay for them again. You will need to download all apps again whenever you reinstall Windows 10. Some applications may still require a Microsoft account or another account to work properly or at all. 1. 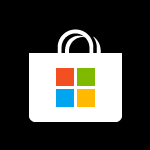 Open the Microsoft Store app. I've been waiting for this since Windows 8! I've also been wanting this since Windows 8. Shows you how often I go to My Library, only just noticed the change. Luckily I did a search before posting old news. I've always hated the way any App you ever tried gets locked into your My Library. Even worse is if you log into a new PC you just bought, with your Microsoft ID, all those factory installed Apps get added even if you never ever launched them and immediately uninstalled them. I have a bunch that came preinstalled on my ASUS laptop I never used or wanted. My "My Library" is so littered with useless Apps I dread going there. Which is why I'm only just now noticing the change. I'd rather just be able to outright delete the junk but this is at least a step in the right direction. It makes it a lot easier to find the ones I do use.